Welcome to the Southern Division of the American Fisheries Society (SDAFS) homepage. We are currently working to move all our committee and chapter pages into the new server. If you have any questions or concerns feel free to contact us (Contact information below). An Executive Committee of five elected officers is authorized to preside over meetings, perform appropriate functions, and act on behalf of the Division. A complete list of officers can be found here. 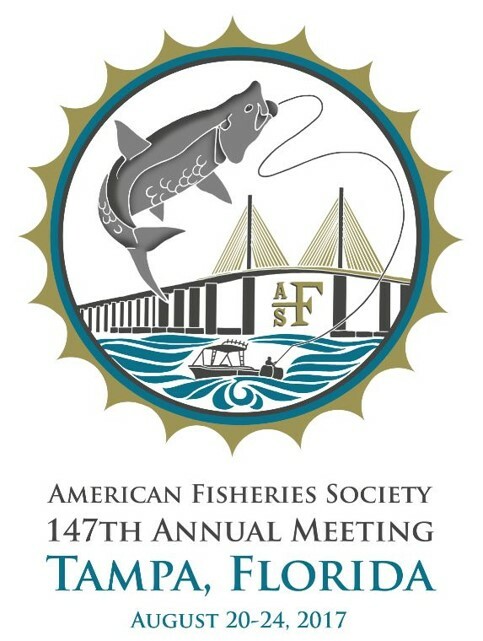 The Florida Chapter of the American Fisheries Society invites you to beautiful Tampa, Florida for the 147th Annual Meeting of the American Fisheries Society to be held August 20-24, 2017. Located on the central west Florida coast, Tampa is located on Tampa Bay, Florida’s largest open-water estuary and the economic and environmental centerpiece of this rapidly growing region. The meeting theme will be “Fisheries Ecosystems: Uplands to Oceans” and we invite professionals to come together to present and discuss diverse approaches to managing and conserving our world’s natural resources. It will be an exciting and engaging experience for all…you won’t want to miss it! If you plan to attend Kansas City in August 2016 for the 146th Annual AFS Meeting, please stop by the Florida Chapter AFS tradeshow booth and pick up a free 2017 AFS Meeting coozie!! !